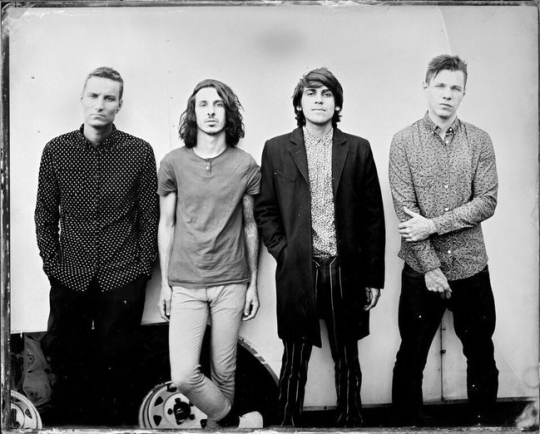 Currently working on new music before they hit the Vans Warped Tour all summer long, Crown The Empire frontman Andy Leo gave his Twitter followers a special surprise today. 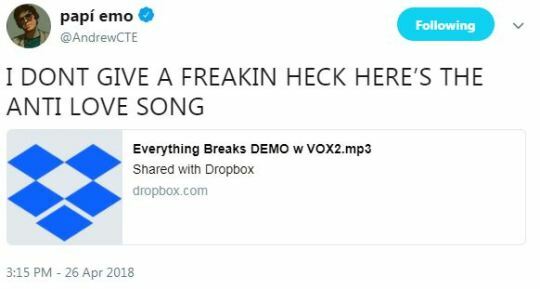 Slightly frustrated an “anti-love” demo he wrote wasn’t going to get recorded for Crown The Empire’s new record as it was deemed “too sad” by his bandmates, Leo decided to take matters into his own hands as you can see in his tweets below. That’s right! Leo leaked the new song by sharing a free Dropbox link for everybody to hear. And, after first listen, the song is definitely pretty sad. To see for yourself, be sure to look below. Afterward, make sure to pick up tickets to see Crown The Empire out on tour here.